This website is for the marine wildlife enthusiast who likes to be informed about everything marine wildlife tourism-ish. It has been created by a professional for other professionals as well as people who want to learn more about human-wildlife interactions in general, good-practice operations, and the latest trends and exciting developments. 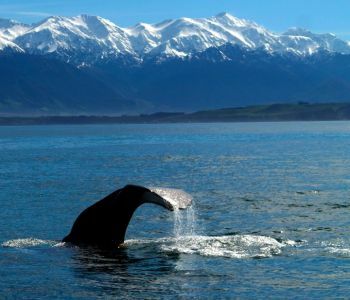 It provides news fresh out of marine wildlife tourism research. The website is also for those who simply need input and advice for their next wildlife watching experience. The information aims to promote encounters that are respectful and to educate about the ‘do’s & don’ts’, in order to enhance the overall safety of both people and wildlife when they are interacting in the animals’ natural environments. 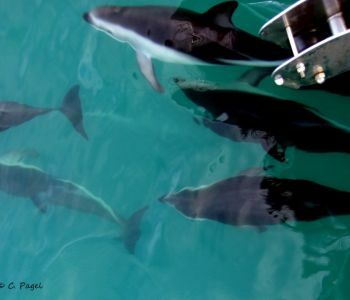 Marine wildlife tourism targets many different species that inhabit the coastal and marine environment. From mega fauna like whale sharks (Rhincodon typus; e.g. in Honduras), leatherback turtles (Dermochelys coriacea; e.g. in Trinidad) or beluga whales (Delphinapterus leucas; e.g. in Canada) to rather small wildlife such as Atlantic puffins (Fratercula arctica; e.g. in Iceland) and golden jellyfish (Mastigias species; e.g. 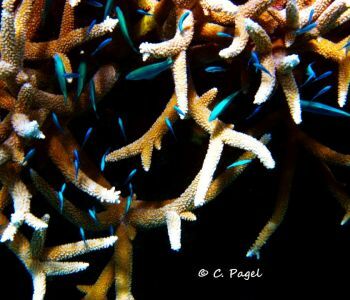 in Palau), our planet has a lot to offer. However, many species are at the brink of extinction, and in some cases, like the vaquita (Phocoena sinus, a rare species of porpoise), only a few individuals remain. Hence, best-practice wildlife tourism operations should always contribute to the conservation of the species observed.